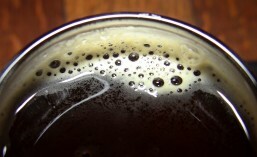 Are You Ready To Have Your Beak Tweaked By Black Raven Brewing? Just the other day, I was telling you about how the changing seasons bring with them all the different Seasonal craft beers we enjoy as they make their annual returns. As the weather warms that, of course, means it’s time for most people’s taste buds to leave Stouts, Porters and other malt-heavy beers behind (for the most part) and start seeking out crisper, lighter (in some cases), refreshing, hoppier beers. For me, the tipping point each year is the annual Underberg Back In Black Stout Fest at Brouwer’s Cafe during Seattle Beer Week. It’s sort of the last hurrah for the year before the Seasonal changeover. Granted, that changeover came a bit earlier this year, since Seattle Beer Week began a week earlier than in previous years. That doesn’t mean I never drink Stouts in the Summer, but far less so than in the colder months.